You’re fresh out of college, hunting for a job and being all armed and fabulous with a freshly printed resume in your hand. You have at least one hour to get ready for the big interview, but you’re running out of ideas. It might’ve looked like I did this with a whole lotta help, but I didn’t. Instead, I just used my fingers. Simple and easy as 1-2-3! Using your fingers might be a bit more riskier, but it saved a LOT of time. Another thing I love to use about my fingers is that it feels like you’ve put an airbrush on your face. Talk about Photoshop without the NEED to sit down all day long! Last but not least, let’s not overlook the hair department. Hair is extremely CRUCIAL and speaking of the obvious, you NEED to let yourself stand out. As someone who has short hair, my go-to is a metallic bobby pin. It’s more dressier than your average black bobby pin, but you can work it! 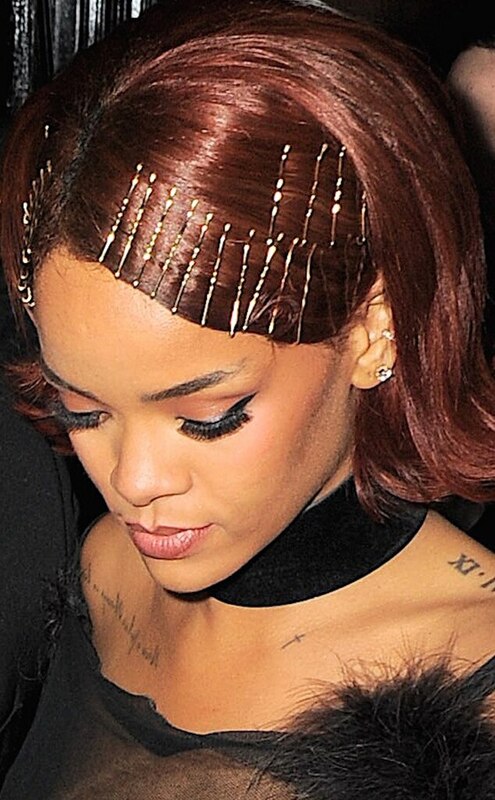 Part your hair to the side and let the pins frame your face like Rihanna. It’s very ’40s meets ’80s with a hint of today – kinda like a helmet, but on the side of your face. What is your favorite job interview makeup look? Have you ever thought of experimenting with a different look for each interview?